It’s true that being a higher priced vendor increases your chances of losing a deal. But your higher price doesn’t have to work against you. In 25% of wins, buyers pick the pricier product. Buyers say these higher priced winners offer the greatest value at the least risk to them. 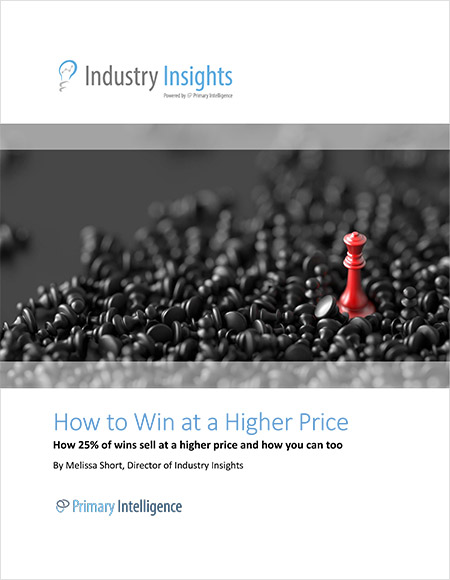 Our study from nearly 900 purchases shows how you can use your higher price as an asset, too. Competition increases each year for B2B businesses. 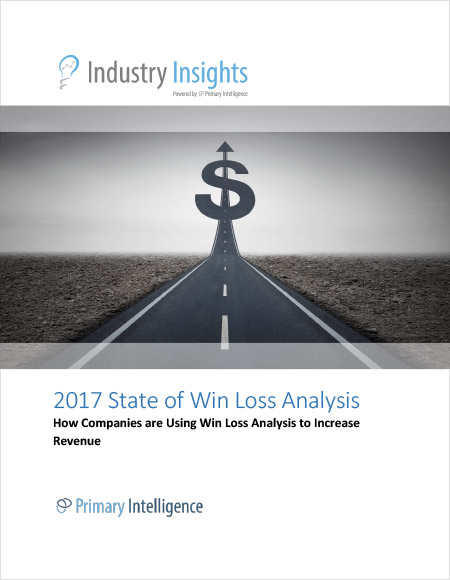 Many companies are realizing the importance of win loss analysis, the study of past sales deals. As responsible sales, marketing, and product leaders, you must use data-driven analytics to produce actionable intelligence and develop strategies to create a competitive advantage. You know what matters most are the initiatives you’ll take to lead your teams to success. 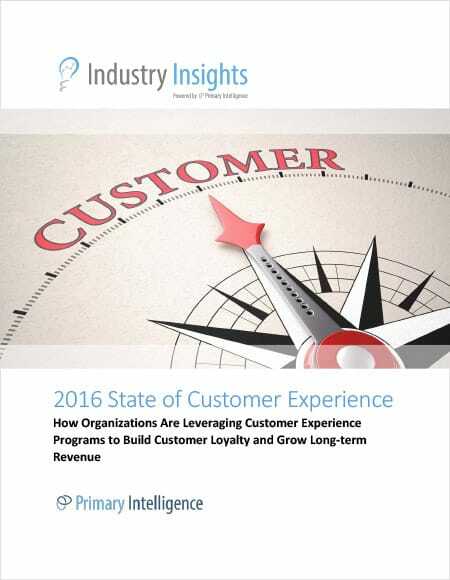 Often referred to as “CX,” Customer Experience helps to explain customers’ overall experiences with their vendors, including the discovery phase, evaluation of products and services, sales engagement, usage of solutions, any service and support interactions, and eventual “end of life” or replacement of the product. Much has been written about Customer Experience Analysis in the recent past. While Customer Experience initiatives are most visible in the Business-to-Consumer (B2C) market, the prevalence of customer focused organizations continues to gain traction in Business-to-Business (B2B) settings as well, particularly as B2B managers increasingly hold the same expectations of customer service for firms they do business with in their personal lives as those in their professional lives. Nearly every business has metrics to measure “stickiness,” often referred to as Key Performance Indicators, or KPIs. 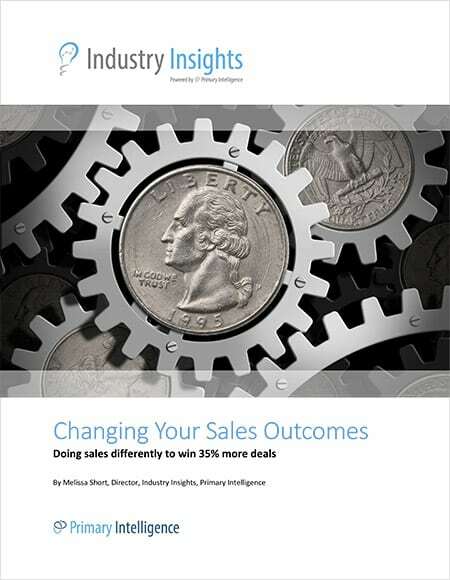 This report analyzes three important leading indicators—product quality, recommendation likelihood, and future business—that were collected from decision makers in over 10,000 B2B purchase decisions during the past eight years. 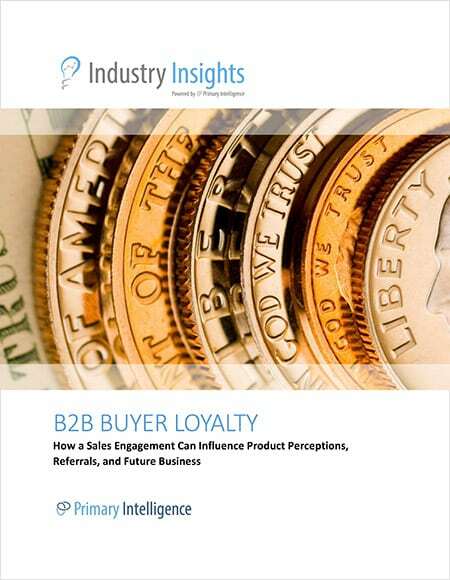 We uncover the most important loyalty indicators and share findings that demonstrate why it’s important to stay in touch with buyers, even when a deal was lost. We show the relationship between buyers’ overall happiness with their purchase decision and loyalty metrics. Additionally, the study includes recommendations for how sales teams can effectively leverage KPIs to increase buyer loyalty and win more deals. Despite the obvious importance of understanding buyer needs, most sales reps perform poorly. 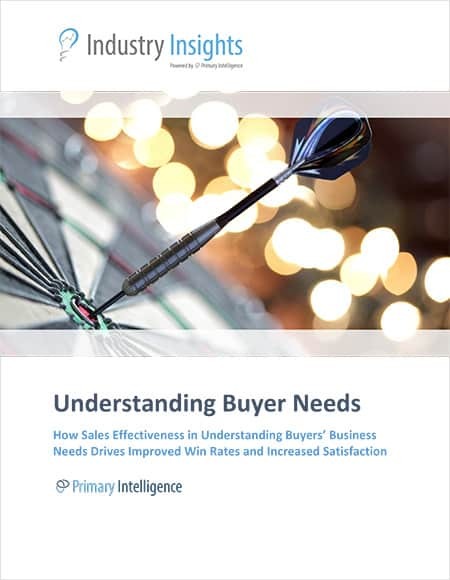 Only 43 percent—less than half of the over 10,000 buyers Primary Intelligence interviewed—rated their sales team as “excellent” in understanding their business needs. 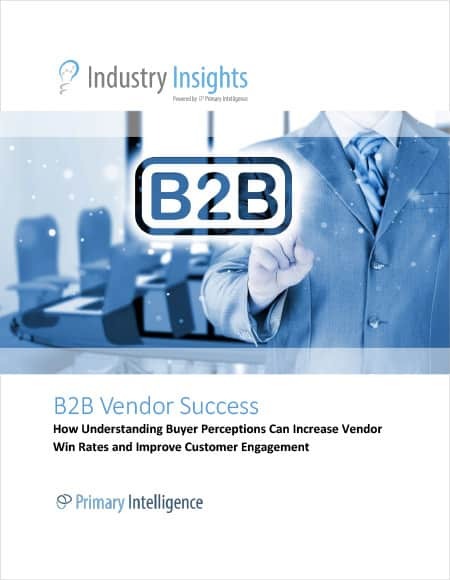 In compelling industry research that analyzes buyer feedback from over 10,000 interviews with B2B decision makers, Primary Intelligence evaluates sellers’ ability to understand buyer needs.